TESTIMONY OF FORMER FREEMASON CHAPLAIN -- WHY HE HAD TO LEAVE MASONRY- New World Order. .
A former Freemason Chaplain seeks a demit from the Masonic Fraternity, and details his reasons for getting out. You will discover the truth, especially the spiritual truth, about Freemasonry, from his testimony. We present this letter without any change or any editorializing. However, at the end of this article, we spend a few moments amplifying Reverend Taylor's many reasons for getting out of Freemasonry, as his reasons parallel our articles on the truth of Freemasonry. His testimony also greatly parallels the other testimonies we have received from other former members. We encourage you to read his testimony carefully, and with an open mind, for the stakes are HUGE --your eternal soul, either in Heaven or Hell. Knowing that you desire to serve the Lord with all your heart, I share this letter with you. Perhaps you have been struggling with the same situation. On November 22nd, I sent the facts contained in this letter to all Masonic bodies of which I am a member. I invite you to prayerfully read it. It will explain why I as a Grand Chaplain of the Grand Lodge of Free and Accepted Masons of the State of New York am requesting a demit from all bodies of the Masonic fraternity. There is much more that I could share. I would be happy to share more if it will help you in the Lord's service. Many have asked me if Freemasonry is a religion. I have always responded "No". Others have told me that it is a religion. 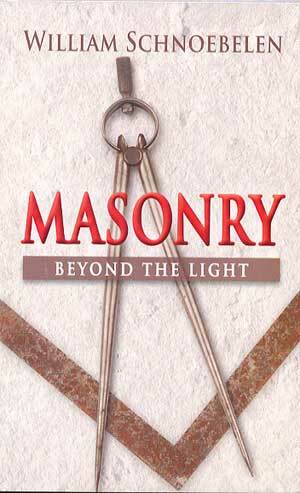 Study has revealed the fact that learned writers in the fraternity say MASONRY IS A RELIGION. The Lord Jesus Christ said, "In the mouth of two or three witnesses, every word is established" (Matthew 18:16). In order to be brief, I will quote only four Masonic authorities that masonry is a religion. Albert Mackey, one of the most well known Masonic authorities, wrote in A LEXICON OF FREEMASONRY (Pg. 402): "The religion, then, masonry, is pure theism...". Albert Pike, the most important of all American Masonic authorities, wrote in MORALS AND DOGMA (Pg. 213-214): "Every Masonic lodge is a temple of religion, and its teachings are instructions in religion... this is true religion revealed to the ancient patriarchs; which masonry has taught for many centuries, and which it will continue to teach as long as time endures." J.S.M. Ward, a Masonic authority who has written several important books on masonry, wrote in his book FREEMASONRY: ITS AIMS & IDEALS (Pg.185): "I consider freemasonry is a significantly organized school of mysticism to be entitled to be called a religion." Ward continues on page 187, "Freemasonry... taught that each man can, by himself, work out his own conception of god and thereby achieve salvation." It holds that there are many paths that lead to the throne of the all-loving father which all start from a common source. Freemasonry believes, according to Ward, "that though these paths appear to branch off in various directions, yet they all reach the same ultimate goal, and that to some men, one path is better and to other, another. "Frank C. Higgins, a high mason, wrote in ANCIENT FREE MASONRY (Pg.10), "It is true that Freemasonry is the parent of all religion." These Masonic witnesses all agree in their doctrine that masonry is, indeed, a religion. It is necessary now to ascertain whether masonry is a true religion or a false religion. In an article entitled, "HOW TO RECOGNIZE A FALSE RELIGION" (Faith for the Family Nov/Dec 1974), a prominent Christian leader wrote: "All false religions, have some things in common. Here are three simple tests by which any religion should be judged; FIRST: What is its attitude toward the Bible? SECOND: Any religious teaching should be tested by this question; What is its attitude toward Jesus Christ? THIRD: In judging a religious system, we should ask, What is its attitude toward the blood of Jesus Christ!" According to these three tests, masonry is a false religion manifesting a satanic attitude toward the Bible, the Deity of Jesus Christ, and the blood atonement of Jesus Christ. In order to establish this charge, keep in mind the Word our Lord Jesus Christ who said, "In the mouth of two or three witnesses every word shall be established." Please consider now the testimony of Masonic authorities which reveal Masonry's satanic attitude toward the Bible, the Deity of Jesus Christ and the vicarious atonement for the sins of mankind by the shedding of Christ's blood on the cross. Albert Pike, in "Morals & Dogma", wrote (Pg.718) "Masonry propagates no creed except it's own most simple sublime one; that universal religion, taught by nature and reason." One who is truly born-again can see from the above statement that masonry totally rejects the doctrine of an infallible, God-breathed, inerrant Bible. According to the Second Test, masonry is a false religion because it totally rejects the crucial doctrine of the Deity of the Lord Jesus Christ. J.D. Buck, M.D., another Masonic writer of importance, in his book Symbolism of Mystic Masonry wrote (Pg.57) "In the early Church as in the secret doctrine, there was not one Christ for the world but a potential Christ in every man. Theologians first made a fetish of the impersonal, Omnipresent divinity; and then tore the Christos from the hearts of all humanity in order to Deify Jesus; that they might have a God-Man particularly their own." One would have to look far and wide in the writings of false teachers to find statements more blasphemous than this about the person of Jesus Christ, my Lord. According to the Third Test, masonry is a false religion because masonry dogmatically rejects the doctrine of salvation from the penalty of sin by faith in the vicarious atonement of Christ's shed blood on the cross. Thomas Milton Steward, another Masonic author, in his book Symbolic Teaching on Masonry and Its Message, to support his doctrine, quoted favorably an apostate Episcopal minister who wrote (Pg.177), "Did Jesus count Himself, conceive of Himself as a proprietary sacrifice and of His work as an expiation? The only answer possible is, clearly, He did not... He does not call Himself the world's priest, or the world's victim." Salvation by Faith in the vicarious atonement are not "ignorant perversions of the original doctrines" as masonry teaches, but they are vital ingredients of the Glorious Gospel of Christ, which is the power of God unto Salvation to everyone who believes. THEREFORE, masonry fails all three tests. It manifests a satanic attitude toward the Bible, the Deity of Christ, and the vicarious atonement. In addition to failing these tests, there is much more proof that masonry is a false religion. For instance, Henry C. Clausen, 33 degree, Sovereign Grand Commander of the Supreme Council, 33 Degree, Mother Council of the World, in the NEW AGE Magazine, November, 1970, (Pg.4) wrote regarding masonry, "It is dedicated to bringing about the Fatherhood of God, the Brotherhood of Man, and making better men in a better world." The doctrine of the Fatherhood of God and the Brotherhood of Man is not found in the Bible. It is a doctrine taught consistently by apostates. Also, the Bible makes it crystal clear that no organization, masonry included, can make better men. Only God can make better men! According to a Masonic creed, found in the Masonic Bible, masonry teaches that "character determines destiny." The teaching that character determines destiny is a false doctrine of the Arch Deceiver of Souls. The Bible says, "There is none that doeth good," and "For by Grace are you saved through faith, and that not of yourselves; it is a gift of God, not of works, lest any man should boast." Masonry is anti-Christian in its teachings. For example, J.M. Ward in FREEMASONRY - ITS AIMS AND IDEALS wrote (Pg.187), "I boldly avere that freemasonry is a religion, yet it no way conflicts with any other religion, unless that religion holds that no one outside its portals can be saved." Ward, in his statement, reveals the fact that masonry has no conflict with any apostate religion on the face of the earth, but he also reveals that masonry is in conflict with Christianity. The Bible says, "Neither is there salvation in any other, for there is none other name under heaven given among men whereby we MUST be saved" (Acts 4:12). Jesus said, "No man cometh unto the Father but by Me." (Jn. 14:6). The Bible is plainly teaching that there is only one way to heaven and that is Christ. 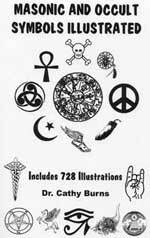 A prominent college president said of masonry, "It is a Luciferian religion. We are fully aware of its diabolical origin and purpose. I believe that any born-again Christian, when the facts from the lips of Masonic writers themselves are presented showing that masonry is a religion and is the worship of Satan, will immediately withdraw." To this I must add my hearty agreement! The God and Father of the Lord Jesus Christ, the only True and Living God, has clearly commanded Christians, "Be ye not unequally yoked together with unbelievers, and swear not at all, and have no fellowship with the unfruitful works of darkness, but rather reprove them." Charles Finney, the famed evangelist whom God used to bring a revival in America in the 1830's, in his book, FREEMASONRY wrote (Pg.115), "Surely, if masons really understood what Masonry is, as it is delineated in these books, no Christian Mason would think himself to remain at liberty to remain another day a member of the fraternity. It is as plain as possible that a man, knowing what it is, and embracing it in his heart, cannot be a Christian man. To say he can is to belie the very nature of Christianity." we are living in the last days prior to the Rapture of the Church. Satan is hard at work trying to hinder believers' spiritual growth, as well as trying to keep the unsaved from entering God's Family. Freemasonry, I have come to believe, is one of Satan's master deceptions. Many ministers, elders, deacons, trustees, and Sunday School teachers belong to this cult. Today, a new ministry begins. There is a tremendous need to scrutinize the cultic nature of Freemasonry in view of the massive infiltration of its effects on the working body of the Church. It should be exposed to the True Light - Jesus Christ! Reverend Taylor is quite correct when he states that Freemasonry is a religion, and he quite accurately quotes notable Masonic authors which state unequivocally that it is a religion. We have had many Freemasons email us to tell us, in no uncertain terms, that Freemasonry is NOT a religion. Before we go any further, let us consult the Webster's Dictionary to see how religion is defined. Webster's says that religion is "the expression of man's belief in, and reverence for, a superhuman power or powers regarded as creating or governing the universe." One of the inevitable consequences of this type of belief is the belief in eternal life, and teachings as to how one is to obtain this eternal life. Indeed, Judeo-Christianity is filled with teachings as to the basis upon which God will allow people to enter His Eternal Heaven. Since eternity is endless, and since each person has only one chance to enter Heaven, the Bible teaches that the Number One objective of every person on Earth is to ensure that they are in right standing before God, so they can be assured of entering Heaven, and not Hell, when they pass away. Therefore, religious institutions emphasize the path to eternal life, and detailed teachings on how to get to Heaven. With this background, let us examine the ceremonies used in opening and conducting a Lodge of Entered Apprentice Masons so that we can realize conclusively that Freemasonry is a religion. 1) "The candidate is then conducted to the centre of the lodge, where he and the Senior Deacon kneel, and the Deacon says the following prayer ..." A person does not pray to a supernatural Being unless he is practicing a religion. The very act of prayer presupposes a religion. Or, to put it another way, the very act of praying proves that a religion is being performed! 2) "The Master then asks the candidate, 'In whom do you put your trust?' Ans. 'In God'. The Master then takes him by the right hand and says, 'Since in God you put your trust, arise, follow your leader and fear no danger'." In this exchange, we see that both the Initiate and the Master Mason express belief in, and trust of, God. This is a religion. 3) "Should interest, honor, prejudice, or human depravity ever induce you to violate any part of the sacred trust we now repose in you, let these two important words, at the earliest insinuation, teach you to pull on the check-line of truth, which will infallibly direct you to pursue that straight and narrow path which ends in the full enjoyment of the Grand Lodge above [Heaven] where we shall all meet as Masons and members of the same family ..." The chief purpose of Religion is to answer the longing in every person's heart for Eternal Life in Heaven and how to get there. This is the essence of Religion! Therefore, since Freemasonry undertakes to show its adherents how to obtain eternal life in Heaven, it is identifying itself as a Religion! Reverend Taylor stated correctly that one of the ways in which you can identify a religion as being false is their doctrine concerning the Bible. What does God have to say about His Bible versus the holy book of any other religion? God declares that He wrote Scripture, and that we can consider the Word [Holy Bible] as being synonymous with Him. In John 1:1, we read, "In the beginning was the Word, and the Word was with God, and the Word was God." Verse 14 then makes this point very clear. "And the Word was made flesh, and dwelt among us, (and we beheld his glory, the glory as of the only begotten of the Father,) full of grace and truth." The Word [Holy Bible] became Flesh and dwelt amongst men. Therefore, everything you believe about God must also be true of His Holy Bible. How does God view other religions? Very, very dimly. In John 14:6, Jesus dogmatically declared that He was the only path to the Father, which means that He is the only path to Eternal Life in Heaven with the Father. Listen: "I am the way, the truth, and the life: no man cometh unto the Father, but by me." What does Freemasonry teach? As Reverend Taylor quotes, above, Freemasonry teaches that all religions are valid, are equally valid. Quoting Joseph Ford Newton, we see that Freemasonry "teaches us to revere every book of faith in which men find help for today and hope for tomorrow, joining hands with the man of Islam as he takes his oath on the Koran, with the Hindu as he makes covenant with God upon the book that he loves best." Therefore, Freemasonry stimulates God to His Jealous Anger by revering every religion! Freemasons are taught to accept the worship every god by every religion! Just so you understand that this is the clear teaching of Freemasonry, let us quote one more passage from the Introduction to a Masonic Bible. ""Nonetheless, much as we honor every book of faith in which any man has found courage to lift his hand above the night that covers him and lay hold of the mighty hand of God, with us the Bible is supreme. What Homer was to the Greeks, what the Koran is to the Arabs, that and much more, the grand old Bible is to us." ["Masonic Edition, The Holy Bible: The Great Light In Masonry", A.J. Holman Company, Philadelphia, 1924, Introduction] Freemasonry clearly teaches that, while American Freemasons follow the Holy Bible, other holy books from other religions who worship other gods, is perfectly fine. This teaching, my friends, brands Freemasonry as a FALSE RELIGION. Secondly, Reverend Taylor states that a false religion may be identified by their teaching of Jesus Christ and of His atoning blood sacrifice. Freemasonry teaches that Jesus Christ was a created being, having been created by an inferior god named Ialdabaoath, who was later identified as the creator also of the "Serpent-Spirit, Satan". In other words, Freemasonry teaches that Jesus Christ and Satan are cousins, equal but opposite! [Albert Pike, Morals & Dogma, in Chapter 26, or the 26th Degree, "Prince Of Mercy, or Scottish Trinitarian". On page 562-3]. This is tremendous blasphemy, quite contradictory to the Bible!! Finally, Freemasonry does not ever teach that Jesus' blood sacrifice is the Foundation Stone for forgiveness of sin with God. In fact, the name of Jesus Christ is never mentioned in Masonic literature! They vaguely refer to Him as "Redeemer" and as "Son of God", but never by name, Jesus Christ. Freemasonry is constantly trying to separate Jesus Christ from God the Father. Never, ever does Masonry teach that Jesus is co-equal with God the Father in all respects, nor do they ever teach that men can come to God the Father only through Jesus! These teachings of the Person of Jesus Christ, and His blood, identify Freemasonry as a False Religion, the Religion of Antichrist! When Freemasons state that they believe Jesus Christ is the Son of God, they are not referring to the Omipotent God as revealed in the Holy Bible; rather, they are referring to the god, Ialdabaoath, whom Albert Pike states created Jesus Christ! Beware of semantics and word redefinitions. Also, do not accept the premise that a belief in God alone is sufficient for eternal salvation. The Bible makes it quite clear that God has delivered all power of Judgment into the hands of Jesus Christ, and that no man can come to the Father in Heaven for eternity, except they go through the blood sacrifice of Jesus Christ. Do not be satisfied by anyone's statement that they believe in God, thinking that this statement labels them as Christian, or that they are saved and going to Heaven by this belief. [Read NEWS1104, "Belief In God Not Enough For Salvation" for a full treatment of this Biblical Truth]. Finally, Reverend Taylor correctly states that Freemasonry teaches that Salvation from Hell is to be obtained through good works, not through the Free Grace of God through Jesus Christ! This false teaching, so common amongst Pagan worshippers, is the reason we see Masonry so involved in public good works, such as hospitals and burn centers! While these activities are good, in and of themselves, they cannot deliver a man's soul to Heaven; yet, this is the exact teaching of Freemasonry. The evidence is clear for any to see. Freemasonry is not only a religion, but a false religion. Freemasonry is not only a false religion, but the religion of the coming Antichrist. New Age literature makes this quite plain, as the New Age authors think very highly of the work Freemasonry has done to prepare the peoples of the world for the coming New Age Christ [Antichrist]. The time is coming quickly when Antichrist will arise. Are you spiritually ready? Is your family? Are you adequately protecting your loved ones? This is the reason for this ministry, to enable you to first understand the peril facing you, and then help you develop strategies to warn and protect your loved ones. Once you have been thoroughly trained, you can also use your knowledge as a means to open the door of discussion with an unsaved person. I have been able to use it many times, and have seen people come to Jesus Christ as a result. These perilous times are also a time when we can reach many souls for Jesus Christ, making an eternal difference.